When the law firm of Jackson & MacNichol needed a legal research and writing specialist, founding partner Francis Jackson turned to the man who taught him legal writing at the University of Maine School of Law more than three decades ago: Murrough O’Brien. Murrough’s writing skills earned him a role as a writing instructor during his third year of law school, where Jackson was one of his students. Writing has played a major role in his legal career ever since. The key to legal writing, he says, is to make complex issues understandable for the reader. Murrough is a graduate of Harvard College. He served in the Navy and worked as a newspaper reporter before going to law school. 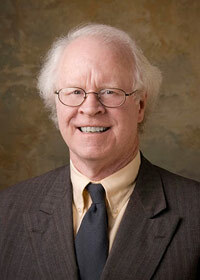 Upon graduation, he posted the third highest score on the Maine Bar Exam in 1975. He practiced general litigation, including real estate matters, before focusing his practice on Social Security disability in the late 1980s. He then joined Jackson & MacNichol in 2005 in what he thought would be a part-time role. In addition to preparing for hearings and drafting appellate briefs, Murrough also serves as a mentor to other attorneys in the law firm, helping them to successfully navigate cases. In addition to his law practice, Murrough has served as the executive secretary to the Maine Judicial Council and the president of Youth and Family Outreach social services agency, and as president of the Woodlands Club. In his spare time, Murrough enjoys reading, traveling, canoeing and kayaking.